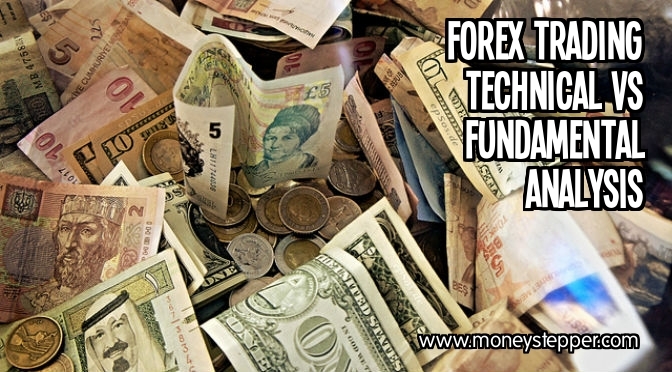 There are two basic approaches to analysing the forex market: technical analysis and fundamental analysis. In real terms, neither is superior or simpler than its counterpart: they’re simply different, and different approaches suit different traders to varying degrees. When it comes to choosing an analysis approach to suit your trading strategy, it’s important to understand how they differ from one another, and what exactly they are. Technical analysis is essentially a study of price movements. Trades are made on the basis that historical currency data can provide an indication as to how the market will perform in the future. The basic concept is that traders believe that all available market information is contained within the currency prices, and can be revealed by an in-depth analysis of movements. This analysis, and the information that it yields, is thus used to make trading decisions. Technical analysis is primarily performed through the use of charts. These charts are studied in order to help traders to quickly and easily identify trends and patterns that are likely to repeat or continue into the future, in order to spot when opportunities for profit will arise. Traders who use such strategies try to identify these trends as early as possible in order to maximise profitability. This method often suits those who are mathematically minded. Fundamental analysis is less of a science, and more of an abstract principle. It works by identifying economic, social and political events that may impact the market, and hypothesising the manner in which they will impact supply and demand, and thus prices. Factors that are studied can vary from macroeconomic indicators like economic growth rates or interest rates, to unemployment figures or political upheaval. This information may be taken from general news, or specific forex news sites and blogs such as FxPro Blog. The impact these factors are assumed to have will vary from trader to trader, so fundamental analysis is less of an exact science, and more of an art, than its technical counterpart. The most suitable approach to analysis will vary from trader to trader. Often, simple factors such as a trader’s individual preference for trading tools, such as charts or news stories, will play its part. However, most people make the decision on the basis of their preferred trading style i.e. whether they want to follow a number of currency pairs or only a few. Technical analysis tends to be much better suited to the former, as charts and trends are easier to study simultaneously. Those using market news must sift through an awful lot of information, which means that this is far less suited to such a task, and is better where only a few currency pairs are being analysed. This difference means that technical analysis tends to be more versatile, and thus the more popular of the two. The strong trending tendency of the forex market also means that many find technical analysis is well suited to the unique landscape of this particular field. Remember: forex trading is exactly that: trading. For amateur traders its very much a game of speculation rather than investing and all long-term investors should always keep this in the forefront of their minds. Why Airbnb is better than hotels? It was a well said definition to the term of technical analysis, wich means to offer for traders insights about trends and patterns that are likely to repeat or continue into the future. Good post here! Every single week, our software produces a wide range of OAS trading oportunities for our clients, ensuring they get the best from their purchase. Different approaches brings different viewpoints for making your trades, thank you for this educative post here by the way!